Hi Frugalistas! 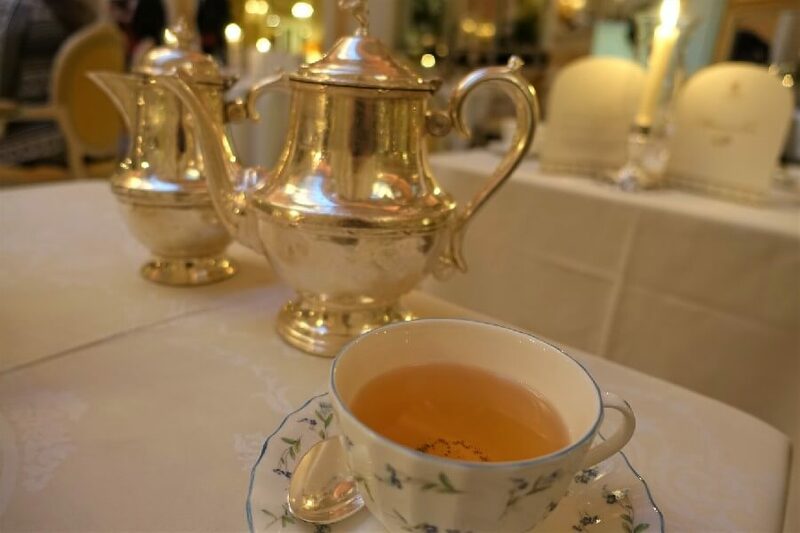 Did you read my recent post about afternoon tea at the Ritz Hotel in Paris? Well, that wasn’t my only afternoon tea indulgence on my recent trip to Europe. 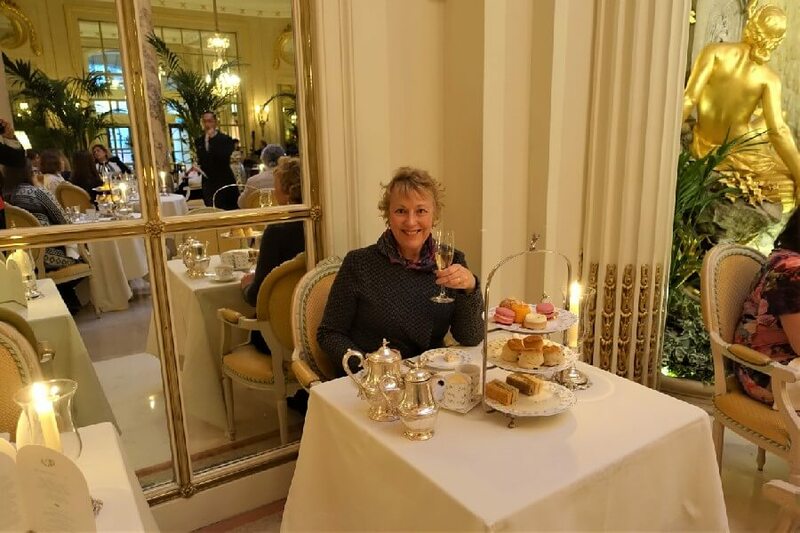 As soon as I knew I was going, I knew exactly the one thing I wanted to do in London – afternoon tea at the Ritz Hotel. It was something I had always wanted to do, but somehow never done. I’d done my research on the best London afternoon tea reviews and knew the Ritz afternoon tea was special. I had also had afternoon tea at Fortnum & Mason previously, but somehow that was different……. Just going into the Ritz, let alone sitting down and eating there was just so intimidating. But the time had come. I was going to do it……..But was it worth the wait, and was it as intimidating as I imagined? 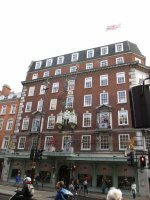 5 How much is afternoon tea at the Ritz? 6 Is afternoon tea at the Ritz London worth it? 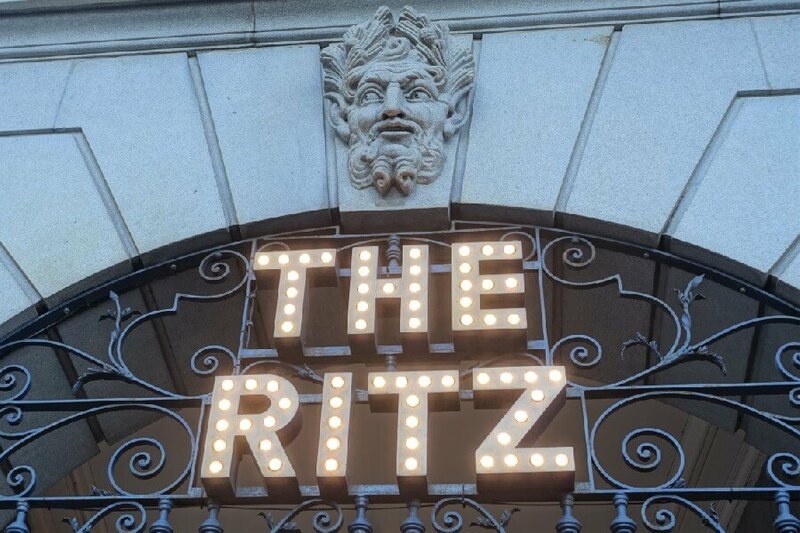 You can book your Ritz London afternoon tea easily on the Ritz Hotel website. There are five separate sittings. The last sitting is at 7.30pm, which is perfect if you want to have your afternoon tea in place of dinner (which I thoroughly recommend). Each sitting is for 2hours. The menu is the same at each sitting. If you want to book a particular time, do make sure you book well in advance. Booking 2-3 weeks out on a week night, I was left with no choice but the 7.30pm sitting. Yes, you do need to think about what to wear to the Ritz Hotel afternoon tea. Being old school, traditional English means there is a Ritz Hotel afternoon tea dress code. And the Ritz London dress code is also very traditional. That means a jacket and tie for gentlemen, and smart casual for ladies. It’s the sort of place where you would want to dress up anyway, so leave the jeans and sneakers back at the hotel. By the way, there is also a particular etiquette for English afternoon tea, so make sure your manners are all in order. There is a choice of three afternoon tea menus at the Ritz London: the Traditional Afternoon Tea, the Champagne Afternoon Tea and the Celebration Afternoon Tea (which, as you may have worked out, includes a celebration cake). 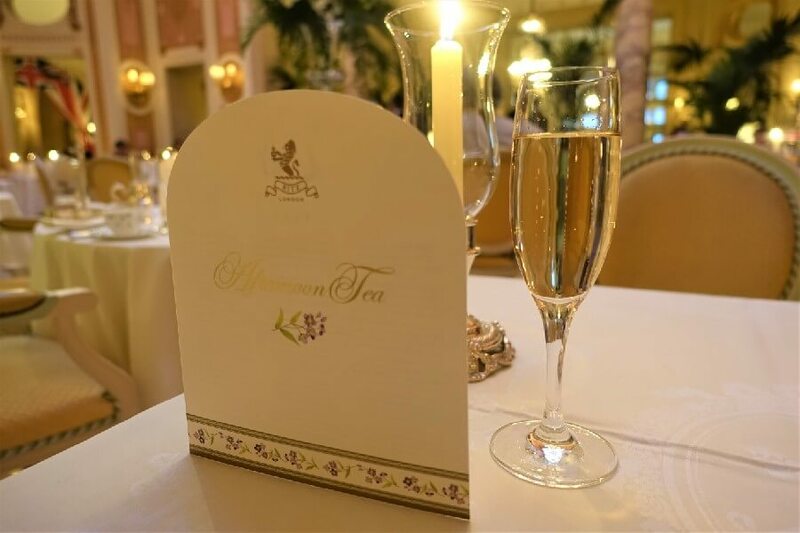 The Champagne Afternoon Tea includes a glass of Reserve Ritz Champagne, the same Champagne served at the Ritz Hotel in Paris. 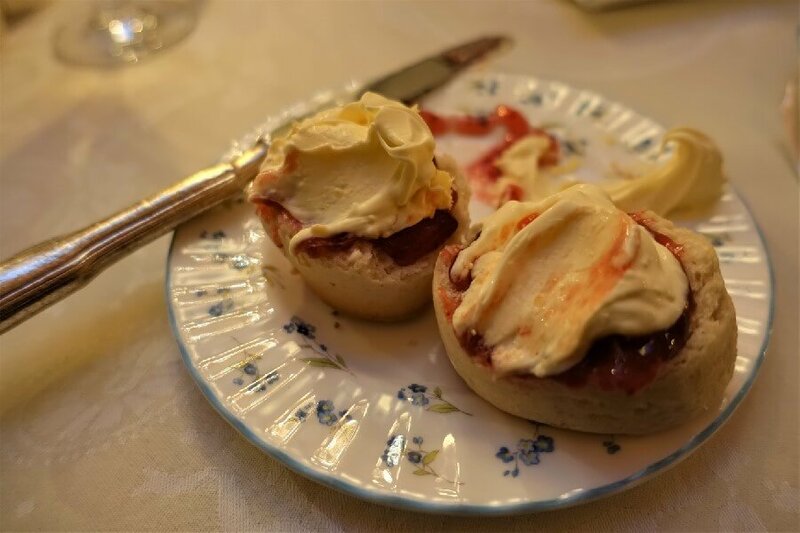 The afternoon tea menu includes a selection of traditional English sandwiches, scones with Cornish clotted cream and strawberry jam, as well as a selection of pastries and cakes. As you would expect, the tea menu is impressive with eighteen different teas on offer. There is an interesting selection of traditional and exotic Chinese, Indian and herbal teas. 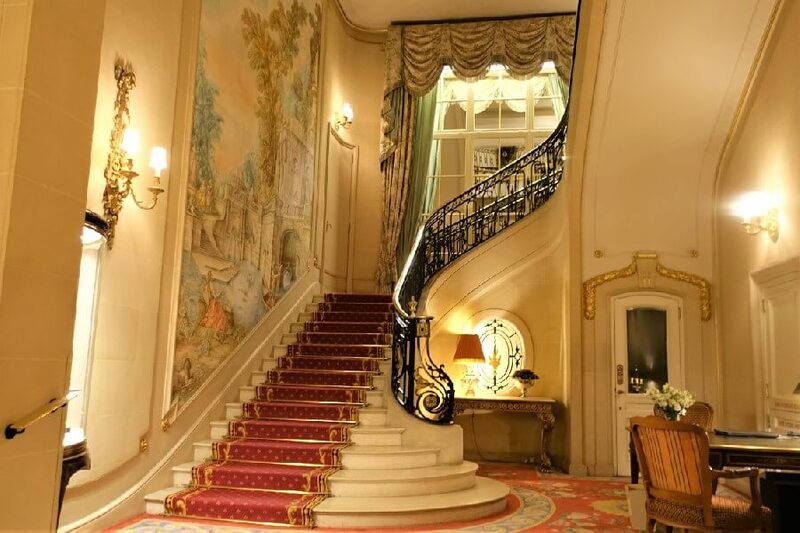 Enter the hotel from the main entrance (just around the corner from the main façade on Piccadilly) and take a leisurely stroll through the hotel to the Palm Court Restaurant where afternoon tea is served. Arriving right on 7.30pm, the Restaurant was largely empty. I was invited to leave my coat at the nearby Cloakroom before being seated. Being a solo diner I was delighted to be seated with a full view of proceedings, rather than beinging stuck in some corner. Although the Restaurant did fill up a bit, there were still empty tables during my sitting. Most of the parties seemed to be either tourists, or couples and family groups having some form of celebration. My order for Champagne and tea was quickly taken and brought to the table. The liveried waiters (and they were all waiters) were friendly and quite chatty. Despite the setting I felt at ease, and not at all intimidated. As we got into the swing of the afternoon tea, a 5 piece band with a singer entertained us with a selection of “appropriate” music, all played in a very 1930s style. In fact, the whole experience had a very 1930s feel – I half expected Noel Coward or Nancy Mitford to arrive any minute to join me. The band only plays at the 7.30pm sitting – earlier sittings are accompanied by a pianist. But of course, a proper afternoon tea is all about the food, regardless of the setting and the atmosphere. Afternoon tea at the Ritz London is a very traditional English afternoon tea. After the Champagne and tea was brought, our three tiered cake stands arrived with great flourish via an army of waiters. Their arrival looked quite choreographed – almost like a musical (especially with the music playing in the background). Containing a plate of sandwiches with traditional English fillings, and a tier of cakes and patisserie, it looked colourful and inviting. Hot scones were brought a little later on their own plate, served with Cornish clotted cream, strawberry jam, and a fresh pot of tea (it is England after all). Just when I thought I’d eaten enough the cake trolley was wheeled out. It looked fab, but what to choose? The chocolate and hazelnut cake or the pear and chocolate tart with a white chocolate ganache? I decided to go with the “healthy” fruit option and opted for the pear and chocolate tart. Afternoon tea in full swing – what would you tuck into first? Despite the regimented sitting times, the afternoon tea did not feel at all rushed. While the waiters were quick on their feet, and hustled and bustled around, they were also attentive, smiling and welcoming. Seeing my camera, almost every waiter asked if I wanted them to take a photo of me. And multiple tables were doing the same. Although the menu had a little note asking that photography be discrete, the waiters spent a lot of time clicking away. I had been somewhat disappointed that my waiter had removed my menu after taking my order. Being a simple cardboard folder, I didn’t really expect it to be “recycled” for another day. That meant I was surprised and delighted when I was offered a copy of the menu to take home while I was paying my bill. I didn’t notice everyone have the same opportunity, so do ask your waiter if you would like to take your menu home as a pretty souvenir of your afternoon tea. Having collected my coat I made my way out the front door again. The doorman tipped his hat, asked if I needed a taxi, and then said “a good evening to you, My Lady.” No, there is no reason to feel intimidated here. Mmmmm, hot scones for tea…..
How much is afternoon tea at the Ritz? Based on current prices as at Summer 2017, the Ritz London Traditional Afternoon tea is £54 per person. I chose the Champagne afternoon tea which is £70 with a glass of Reserve Ritz Champagne or £73 if you would prefer a glass of Reserve Ritz Rosé Champagne. The special Celebration Afternoon Tea (including a celebration cake) is £65 per person, or £81 if you would like a glass of Champagne as well. Glasses of Brut Champagne are £16 a glass, and Rosé is £19 per glass. Is afternoon tea at the Ritz London worth it? 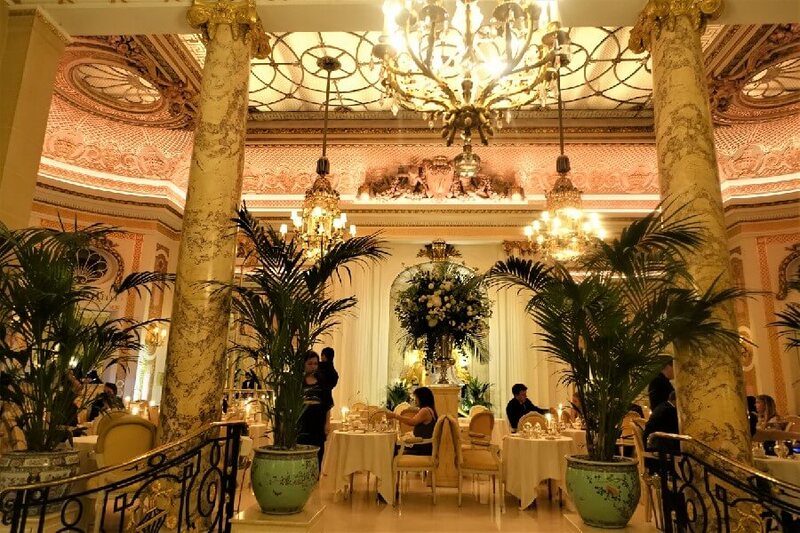 There’s no doubt that the Ritz London high tea is expensive. But it is also special, luxurious and delicious. And such a fun thing to do in London. Everything I ate and drank was worth it in my opinion. The service was fun and not at all stuffy. As a solo female traveller I always appreciate it when the waiting staff make an effort to make me feel welcome, and that is exactly how I felt. Yes, it did seem like I was in the middle of a carefully choreographed play at some times. 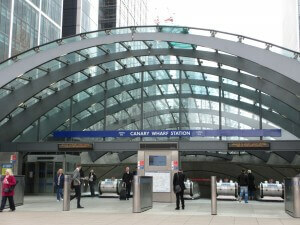 But it was not intimidating and nor was it snobby or elitist. Most of the people dining at my sitting were ordinary people, for whom the Ritz high tea was no doubt a special experience. Because the Ritz London tea is expensive, you will want to make sure you save as much as you can on your flights and hotel. My friends at Webjet have some fantastic travel packages to help take the pain out of booking your flights and hotels to London. Author’s note: Thanks to Webjet for their financial support in the production of this post. 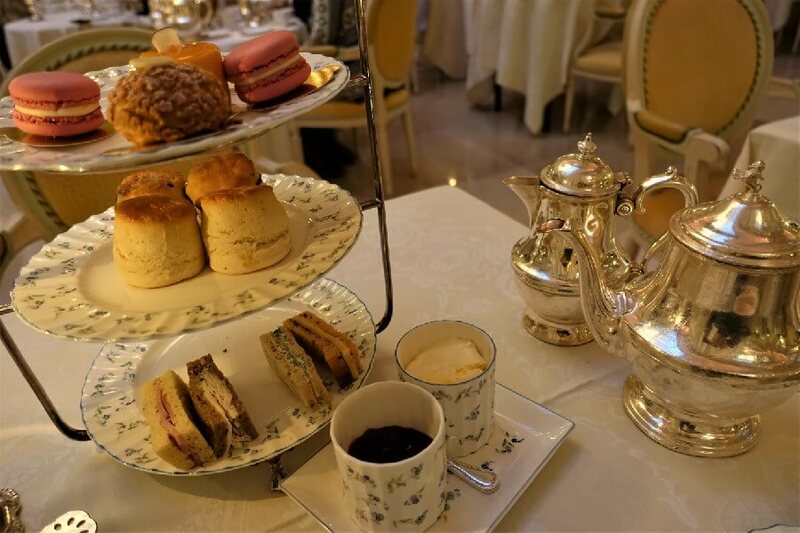 Ritz Paris Afternoon Tea: the sweetest high tea in Paris? Wow! That sure looks expensive but with an experience like that, I definitely wouldn’t hesitate to try at least once in my lifetime. The cakes look good too! Thank you for sharing this.